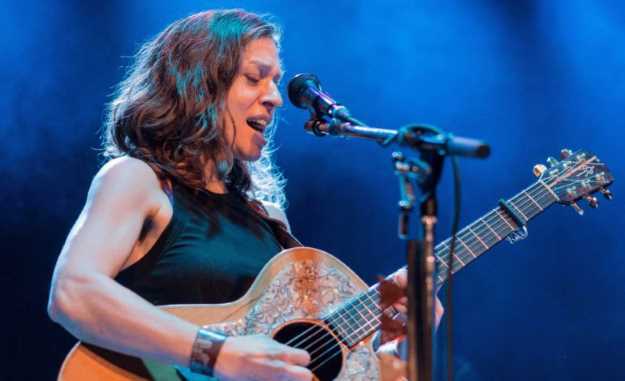 Singer, musician, poet, songwriter, and activist Ani DiFranco, has announced and upcoming tour in support of her new memoir, and accompanying mixtape No Walls and the Recurring Dream. This tour will see the artist perform across more than 25 venues across the entire U.S. with stops in major cities such as New York, Seattle and Portland. "In her memoir, DiFranco recounts her early life from a place of hard-won wisdom, combining personal expression, the power of music, feminism, political activism, storytelling, philanthropy, entrepreneurship, and much more into an inspiring whole," a statement regarding her upcoming memoir reads. "In these frank, honest, passionate, and often funny pages is the tale of one woman's eventful and radical journey to the age of thirty." The accompanying mixtape is described by Di Franco as a heartfelt message to her fans, and was made and recorded in the style of classic mixtapes. These tracks are songs that she originally wrote toward the beginning of her career nearly 20 years ago, to reflect her roots that are discussed in the upcoming memoir. "So here is my mixtape for you, like the kind that I would make you on cassette if it was, like, 1993 and I was really into you," DiFranco stated in a press release. "It's a flight of Ani songs that I took the liberty of revisiting, solo stylie, twenty... (thirty?!) years later, songs that factor (either literally or figuratively) into my memoir, No Walls and the Recurring Dream." Although DiFranco's last album release Binary, was released toward the beginning of 2017, the artist has done several concert and festival appearances throughout the last year. This includes a major appearance at the Nelsoville Festival alongside George Clinton & The Parliment Funkadelic and The Decemberists, and an appearance at Babefest toward the end of 2018.